Until their great debates, Abraham Lincoln lived for a quarter-century in the shadow of Stephen A. Douglas. Until their great debates, Abraham Lincoln lived for a quarter-century in the shadow of Stephen A. Douglas. While his biographers often view his development before 1858 as a prelude to his presidential achievement, Lincoln saw himself in relationship to his peers. And he sized himself up most often by the success and status of his younger and most important yardstick, the Little Giant. Lincoln scholars have underappreciated how Douglas’s meteoric rise was a continuing benchmark by which Lincoln measured himself. 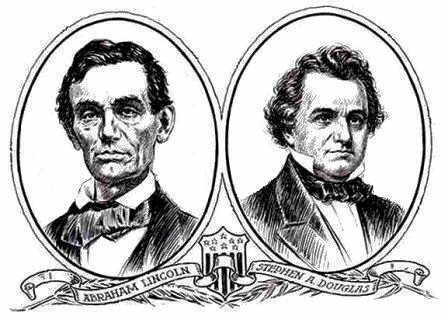 Douglas was four years younger than Lincoln, and both were well aware of the age gap. Douglas became an overnight success in Morgan County at age twenty when an impromptu defense of President Jackson’s policy toward the Bank of the United States brought him local acclaim and enabled him to open his own law office before his twenty-first birthday. In Lincoln’s case, turning twenty-one in 1830 empowered him to depart from his father’s farm and his father’s control, although he did not do so for another year. Then for four years he switched from one job to another—boatman, carpenter (boat builder), store clerk, storekeeper, soldier, rail-splitter, postmaster, surveyor, and political candidate—anything except farmer, his father’s occupation. In the same year that Douglas began to establish himself as a comer in legal and Democratic circles, twenty-five-year-old Lincoln ran successfully for the state legislature as a Whig from Sangamon County. He would remain in the legislature for four terms from 1834 to 1841. After his initial election he studied seriously for two years before qualifying for his law license in late 1836. Unlike Douglas, who began his law practice alone, Lincoln took what historian Brian Dirck terms “a safer option” of joining a senior partner, John Stuart. When Lincoln opened his law office with Stuart at Springfield in 1837, Douglas received an appointment from President Martin Van Buren as register of the federal land office there—a more prominent post than state representative at Vandalia, where he and Lincoln served one term together in 1836–37. In September 1836 Lincoln obtained his law license. He had thought about trying his hand at law five years earlier. He read about the law sporadically and played at it as an amateur by filing forms and pleading before justices of the peace. He would remember taking up the study seriously only after being urged to do so by Stuart when they both campaigned for the state legislature in 1834. Although he may have then set on becoming a lawyer, his decision was not final and not accompanied by a single-minded determination. Douglas Wilson characterizes Lincoln’s studying as “intermittent” and affected by his self-doubt. He recognized the inadequacy of his own preparation and, according to Joshua Speed, feared being able to measure up to established lawyers, including those “near his own age,” like Douglas. Lincoln saw Douglas for the first time, according to William H. Herndon, when the newcomer arrived during the winter session of 1834–35 in Vandalia as a member of the outside or “Third House” to lobby for a bill transferring the power of appointing states attorneys from the governor to the legislature. When the overwhelming Democratic majority enacted the bill, Douglas benefited directly: he was chosen state’s attorney for the First District. Although Lincoln voted for a Democratic candidate in another district, he voted against Douglas. In December 1837 Stuart became the Whig candidate for Illinois’s third congressional district. A month earlier the Democratic district convention had nominated Douglas, who was only twenty-four—a fact Whig critics emphasized. They pointed out that the U.S. constitution fixed twenty-five as the minimum age for the House of Representatives. Not to worry, responded Douglas, noting that he would be age eligible before Election Day. Douglas’s advancement was becoming legendary. The Whigs resented his rapid rise and unlimited ambition. Douglas had jumped from one office to another: state’s attorney (1835–36); state assemblyman (1836–37); federal land register (1837), and now Democratic candidate for Congress. In December 1837 Lincoln informed a Whig state legislator that he and Stuart had decided to “never speak of Douglass at all. Is’nt that the best mode of treating so small a matter?” Yet, the following month, Springfield’s Whig weekly, the Sangamo Journal, began a series attacking the Democratic Party and its young man in a hurry. It printed three consecutively numbered articles signed “A Conservative,” on January 13, January 27, and February 10, with a separate addendum on February 3. On January 27, Lincoln gave what has recently become a much-analyzed speech at the Springfield lyceum. The circumstantial and textual evidence suggests that the speech and articles represented a coordinated enterprise among Lincoln, Stuart, and Simeon Francis, editor of the Journal.The target of the trio was Douglas. 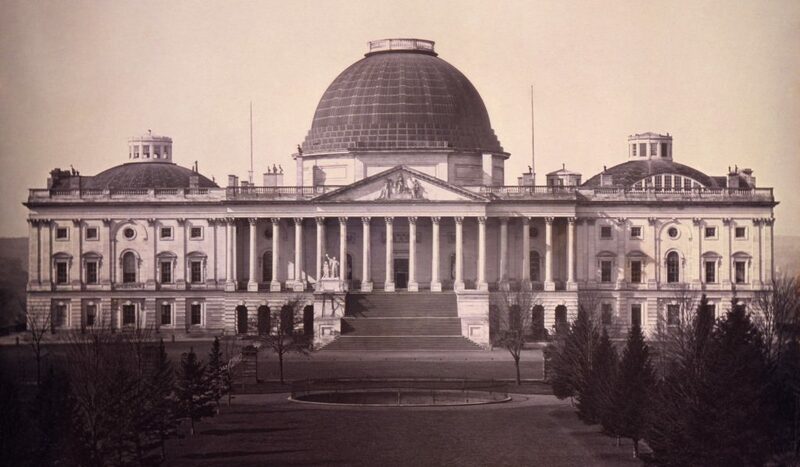 In his Lyceum speech, Lincoln warned that a man of ambition and talent could satisfy his need for distinction only by tearing down the edifice built by others. Psychological historians aware of Lincoln’s role in breaking up the Union two decades later and of his yearning for fame, postulated that he was expressing a deep, unconscious need of his own. Others suggested that he was attacking Democratic presidents. Only Michael Burlingame has made a brief but persuasive case that Douglas was the target. He astutely links the text and the context in an analysis on which we can elaborate modestly. In the January 13 article, “A Conservative” claimed to be a Democrat who was upset with his party’s four newspapers in the congressional district. It made no allusion to Douglas. The second installment, however, appeared two weeks later on the same day that Lincoln spoke at the Lyceum. It was not a coincidence, for the anonymous article laid out explicitly what Lincoln could only evoke obliquely when he spoke, to wit, that Douglas was a dangerous man. Both the “towering genius” and Napoleon Bonaparte appeared in Lincoln’s Lyceum speech on the day after “Conservative—No. 2” came out. In fact, on the evening of January 26, Douglas read the newspaper and immediately had someone deliver to Simeon Francis a long letter condemning the anonymous author of “Conservative—No. 2” as “an infamous, villainous liar and a cowardly scoundrel.” It seems likely that Simeon Francis conveyed Douglas’s sentiments to Lincoln before he spoke the next night at the Lyceum. This time Lincoln could not name his target because his speech would have to be outwardly nonpartisan, but he could still employ language similar to what appeared in the Sangamo Journal. It is improbable that Lincoln would have had anyone else in mind. The audience surely knew the subject was Douglas, for all were well aware that he was the local bête noire of Lincoln and the Whigs. We need to bear in our own minds that Lincoln’s strength as a speaker came from his hold on his listeners, and this required his being able to connect with their expectations. They did not think he was talking about himself. Whatever Lincoln’s private motives, he was immersed in Stuart’s campaign and his own for reelection to the state legislature. Everyone there knew he was warning them about Douglas. Only modern scholars have suggested otherwise. Douglas resumed his place as land register at Springfield and formed a short-lived law partnership. Lincoln continued as Stuart’s junior law partner. Actually, Stuart was in Washington for two consecutive terms, leaving Lincoln to handle much of the firm’s legal work on his own. In 1839 Douglas remained for Lincoln a political and even legal adversary. They argued on opposite sides before a circuit court in a strictly partisan case. A new Democratic governor tried to remove a long-time secretary of state who had switched to the Whig Party. The Whig majority in the state senate refused to remove the incumbent, whom Lincoln defended when the new gubernatorial appointee, represented by Douglas, litigated. Lincoln won and the Democrats appealed to the state supreme court, where Douglas served as Democratic cocounsel and bore the greater part of the argument. The Whigs at the Sangamo Journal enthused that the quality of arguments on both sides made them “proud of the legal talent” involved. Although Lincoln was not involved in the appeal and knew that the Democratic press printed Douglas’s argument in full, he could take satisfaction that the court upheld the Whig’s right to the office. The payoff, however, rankled him and most Illinois Whigs. The Democrats won a majority in the new state legislature and proceeded in November 1840 to confirm their governor’s nominee for secretary of state—Stephen A. Douglas. Only a few months later, the Little Giant rose higher when the legislature expanded the supreme court by dint of the so-called Douglas bill, that the eponym was said to have engineered and from which he benefited. Whigs were outraged. That Douglas, no longer in the state legislature, was credited by supporters and blamed by opponents of the bill indicated his outsized reputation in Illinois. 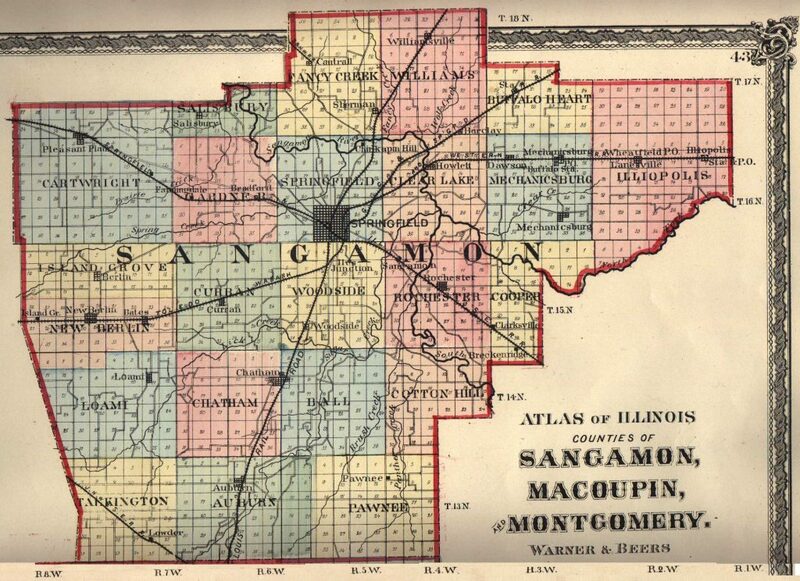 Lincoln himself had been bypassed by Sangamon Whigs for their candidate to the state senate but, to his great relief, did secure nomination for reelection to the state assembly. His uncertainty here reflected his lack of effectiveness as a party organizer, in contrast to Douglas, whom he (and all Whigs) knew was a consummate manager of the Democrats. Both men became suitors of Mary Todd, but the depth of the relationships is unclear. She came to a sister’s wedding in Springfield during the summer of 1839 and in October came for an extended stay with another sister, Elizabeth, and her husband, Ninian Edwards. In December, Lincoln and Douglas had a heated political exchange behind Joshua Speed’s store and arranged some follow-up debates for themselves and their partisans. Speed was a friend of Ninian Edwards and part of the social circle that formed around Mary. Indeed, Speed may have introduced Lincoln to Mary during that winter. When Douglas began his own courtship is less certain. He was conspicuous in Springfield society and was among the young men who visited the Edwards home and saw Mary at organized social events, including a party she arranged. In May 1840 he and Lincoln were cocounsel on the circuit. There is no report that either had yet become romantically involved with Mary. Regardless, by fall 1840, both men were pursuing Mary. At the same time, according to some contemporary accounts, both men were in the queue that chased Matilda Edwards, a vivacious eighteen-year-old cousin of Ninian’s, who arrived in late 1840 for the Springfield social season that coincided with the winter session of the legislature. How Mary and Matilda got on with one another is uncertain. If Lincoln and Douglas pursued Matilda, neither one-upped the other in winning her affection, for she spurned both and reputedly twenty others before marrying three years later. In fall 1840, Mary and Lincoln, according to the recollection of others, reached an understanding to marry. In January, however, their relationship broke apart. Herndon claimed that Mary’s flirtation with Douglas, intended to fire Lincoln’s passion for her, backfired and so troubled Lincoln that he decided not to go ahead with their plans. Harriet Hanks, who lived with the Lincolns for a short time, would later tell Herndon’s associate that Mary had loved Douglas and had been engaged to him. Although Douglas Wilson has discredited this claim, it does appear that Douglas was a sufficient rival for Mary’s hand to irritate Lincoln, perhaps enough for him to walk away from a commitment to marry. After her breakup with Lincoln, Mary confided in her closest friend that “Judge Douglass, who has been rapidly promoted to office . . . is talented & agreeable & sometimes countenances me” and, therefore, she thought she might lay in her claims. In the immediate aftermath of his split with Mary, Lincoln experienced a deep depression. He wrote that he was “now the most miserable man living.” His romantic crisis was compounded by his sense that he had not accomplished enough. It is inconceivable that he did not compare himself to Douglas when he thought, as confided to Herndon, “he had done nothing to make any human being remember that he had lived.” The younger man’s high achievement could only underscore for Lincoln how far short he was of his ambitions. 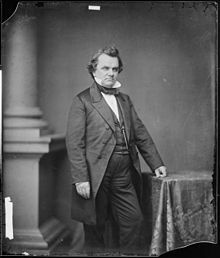 In June 1843 Douglas resigned from the supreme court after accepting the Democratic nomination for Congress in a newly created fifth congressional district that roughly coincided with his judicial district. Lincoln wanted to succeed Stuart in the third district but was unable to secure the Whig nomination. His friend, Orville Browning, did so in the fifth district, where he lost the election to Douglas, who instantly became a significant Democratic player in the new House. While Douglas built his career in Congress, Lincoln continued to seek a seat there. Douglas won reelection in 1844 and 1846. The Whigs bypassed Lincoln in 1843 and 1844 but nominated him in 1846, and he won the election he long wanted. 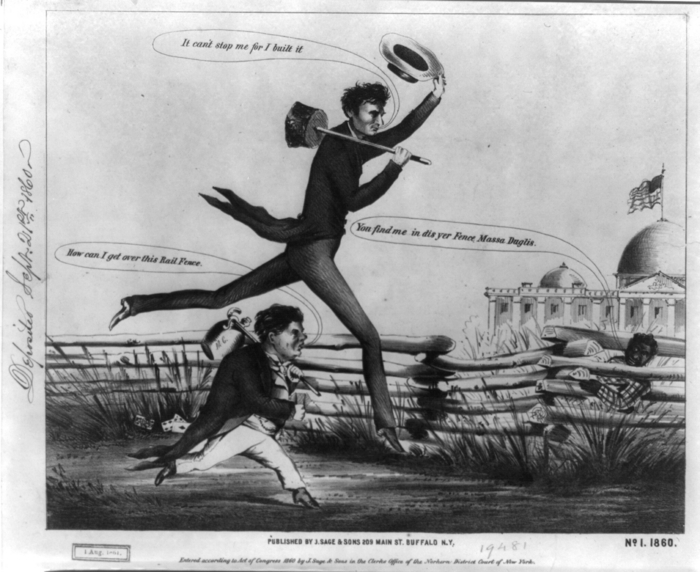 When at age thirty-eight he went to Washington for the opening of the Thirtieth Congress in December 1847, thirty-four-year-old Douglas was now launching a career in the more prestigious Senate, where he immediately became chair of the Committee on Territories, positioning him at the center of debates over the Mexican Cession. The House named three dozen standing committees and placed Lincoln on two of them. He would gain some prominence for his resolution and speech against the U. S.–Mexican War, one of three noteworthy speeches he gave during the first session. On February 1, Douglas gave a widely covered speech that comprehensively reviewed and justified the declaration of war. Representative Lincoln and Senator Douglas met at least a couple of times almost immediately upon their arrival for the opening of the new Congress. Lincoln waited until after their first meeting to dun him for bills in behalf of Illinois clients. Both represented Illinois at the National Birth-Right Ball held on Washington’s Birthday in 1848 to raise funds for the Washington monument. Their wives knew each other there, but neither enjoyed life in the capital. 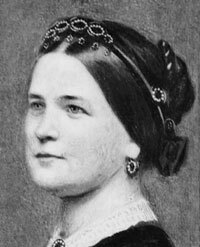 Nevertheless, Mary Lincoln, who departed the city before the end of the first session and did not return for the second, was disappointed for her husband when he had to leave Congress and return to Illinois for good. Lincoln did not stand for reelection because of a pledge he had made to permit other men to serve. One of his last votes in the first session was to oppose a Senate amendment to the Oregon bill, proposed by Douglas, to extend the Missouri Compromise line to the Pacific as a resolution of the slavery question in the Mexican Cession. For congressmen opposed to slavery expansion, however, Douglas’s proposal was no answer, because most of the Mexican Cession was south of the 36º 30’ line and therefore would have been open to slavery. Four days after Illinois elected representatives to the Thirty-First Congress, the second session of the Thirtieth Congress convened. Lincoln’s standing in his home district was not very high because of his antiwar resolution and speech, as evidenced by Stephen Logan’s loss to a Democrat who had received an award for gallantry in the U. S.–Mexican War. Not only had the war been popular everywhere (including Illinois) outside New England, but as Chris DeRose observes, Lincoln had not criticized the American declaration of war when he campaigned for his seat. Indeed, it is hard to imagine that voters in the seventh congressional district, where Lincoln’s immediate predecessors, John J. Hardin (who fell in battle) and Edward Baker, were lionized for their heroism in the U. S.–Mexican War, would have looked favorably on Lincoln’s stand. Knowing he would not be returning to the next Congress, Lincoln was a lame duck during the second session (December 1848–March 1849). Discouraged doubtlessly by a lack of support in trying to draft a bill for the gradual, compensated ending of slavery in the nation’s capital, and aware that he had no personal influence, he became an inactive legislator for much of the session. He displayed more persistence and energy in politics than in lawmaking. 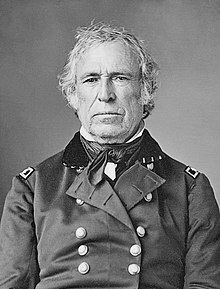 He promoted Zachary Taylor’s presidential nomination by the Whigs and then campaigned hard for his election. A fervent exponent of the patronage system, Lincoln expected to be rewarded with posts for himself and his friends. Even before his Congressional term finished on March 3, Lincoln began a long and continuous effort to secure places for Whig friends from Illinois, who besieged him with letters requesting support for patronage. The prize he coveted for himself was commissioner of the General Land Office, a position he learned would go to someone from Illinois because it had the greatest number of federal land offices among the states. He aggressively sought the office that would keep him in the capital. After much lobbying by Lincoln on his own behalf, including a special trip to Washington for the purpose, the new secretary of the interior appointed a Chicago attorney who had not worked hard for the party. Lincoln was deeply disappointed. There is no evidence that either the new interior secretary or President Taylor wrote to Lincoln explaining the Land Office appointment. Most likely Lincoln’s famous resolution, demanding to know whether the “spot” where the provocation for war occurred belonged to Mexico, Spain, or Texas, and his follow-up speech ridiculing President Polk’s justification for the war hurt him with the Taylor Administration when his name appeared for patronage consideration. After all, General Taylor became a national hero as a consequence of his victories in the war. The sectional tensions over the question of slavery in the Mexican Cession may have won Lincoln’s speech praise from opponents of slave expansion (and modern historians), but the war was popular even among Whigs. His own friends told Lincoln that his speech did not play well at home. Although he noted in his speech that he had patriotically waited until the war concluded before criticizing the decision to fight, his reported fixation on the “spot” where Mexican troops fired on Americans nearly two years earlier and several months after the fighting had ended in a U.S. triumph did not seem timely or compelling. Lincoln explained to a would-be placeman, “You overrate my capacity to serve you. Not one man recommended by me has yet been appointed to any thing, . . . except a few who had no opposition.” This sense of impotence over the one matter he was trying to influence no doubt contributed to his personal malaise. He wrote to another that when “a set of drones,” particularly the man whom the interior secretary intended to appoint to the Land Office, was rewarded with the fruit of other men’s labor, the “whigs will throw down their arms, and fight no more.” This presaged Lincoln’s own disengagement from politics, which occurred gradually. He wrote in November 1849 that the administration was “pretty much through with” appointments and all of them could move onto “measures,” but there is little evidence that he himself would do so. In December 1849 the new Congress took up President Taylor’s call for favorable action on a forthcoming application from California for statehood. The president’s address ignited a debate over the disposition of territory acquired from the Mexican War, one that resulted in the longest session of Congress in its sixty-year history. Threats of southern resistance, including secession, to protect slavery fueled the crisis. The “great question,” how Congress should deal with statehood for California, New Mexico, and Utah, dominated the news from the end of January 1850, when Henry Clay introduced an omnibus plan to settle the impasse, until passage in September of the five bills that composed the Compromise of 1850. Stephen Douglas appeared in more than two hundred newspaper stories outside Illinois during this time, while Lincoln’s name appeared only once, as an addressee of a letter in a list that remained in the Washington post office. Douglas received widespread recognition for his role in bringing the compromise bills through passage in both chambers. In sum, during the first year of what Michael Burlingame characterizes as Lincoln’s midlife crisis (1849–54), Douglas became what Lincoln had hoped to become, a major figure on the national political scene. Lincoln abstained from offering a judgment on the sectional crisis of 1850 and would not attend a rally in support of the compromise measures in June 1850. No other political question stirred him to written comment. He signed a set of resolutions supporting Hungarian freedom and gave a eulogy in July 1852 for Henry Clay in which he made only a passing reference to the territorial question resulting from the U. S. – Mexican War. Much of the eulogy was a quasi prayer for liberty and the end of slavery. The substance of Lincoln’s address is less important here than his motive in giving it. In his Richmond speech, Douglas mentioned the Whig platform and indicated that the only thing he would say about it was that the plank on slavery had been “stolen” from the Democratic platform, which in fact had been adopted two weeks earlier. Lincoln quickly jumped on this remark for an extended comment on the Whig origin of the Compromise of 1850. After stressing the roles of Whig leaders, he acknowledged that he “knew, or supposed [he] knew” that Democrats supported them. 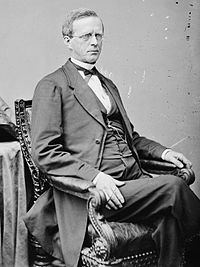 Grudgingly he added, “Among these last Judge Douglas himself was not the least.” Not the least indeed, for a consequence of his involvement was that Douglas became a serious contender for his party’s nomination before Franklin Pierce was chosen. Later Lincoln further displayed how much Douglas’s public standing bothered him when he referred to him as “a giant” and himself as among “common mortals.” In 1852 Lincoln was not the giant that Douglas was, and it rankled him. In 1853, after his wife and newborn daughter died, Douglas escaped his grief with a five-month tour of Europe, where he met top officials of a dozen countries and had audiences with Emperor Napoleon III and Czar Nicholas. His trip demonstrated that if he were not a giant on the world stage, he was at least a major American statesman. He returned to the new Thirty-Third Congress when it convened in December with an enhanced sense of his own stature. He ignited a national controversy when he pushed for organizing the Nebraska Territory and was the driving force behind the months-long fight that resulted in passage, on May 30, 1854, of the Kansas-Nebraska Act, which repealed the Missouri Compromise. Lincoln did not write a word about the issue, nor about any other political question after his two speeches during the campaign of 1852, until late August 1854, when he attended a Whig meeting to choose county delegates to the state convention. After being asked to speak, he decried the repeal of the Missouri Compromise. Although he would note how upset he was by the legislation, there is no evidence that he spoke at a meeting or wrote about his views before August 26. 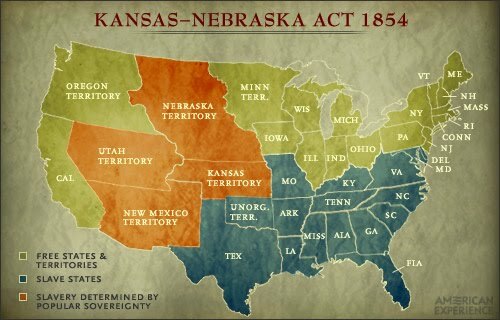 But now, as most biographers agree, it was the Kansas-Nebraska Act that galvanized Lincoln to return in a major way to politics. As he would recall a few years later, “I was losing interest in politics, when the repeal of the Missouri Compromise aroused me again.” The new Republican Party formed in the wake of the controversy, and Lincoln became a major player among Republicans in Illinois. There is no doubt that Lincoln was appalled at the repeal and must have been from the moment he knew about it. What is unclear is why he took so long to join the protest. His first reported remarks were three months after passage of the Kansas-Nebraska Act and seven months after Douglas had introduced a version of his bill that proposed repeal of the Missouri Compromise. Why Lincoln did not comment on the proposal before it became law or immediately after it was enacted is a matter of speculation. Scholars have noted his malaise at this time, and some have stressed his disappointments in career building, from office holding to popular lecturing. He had warned, in his famous Lyceum speech, that an intensely ambitious “towering genius” could satisfy his thirst for prominence only by tearing down the achievement of others. The abrogation of the Missouri Compromise, which many considered to be “a sacred compact,” presented Lincoln with a rich opportunity to gain distinction by striving to overturn Douglas’s legislation. Here his antislavery feelings and quest for distinction converged to energize him belatedly along a clear political path. If he could hold his own or, better, outduel Douglas, he even might win election to the U.S. Senate. Some Lincoln scholars have underestimated how formidable Douglas was in fall 1854, when Lincoln sought to debate him. A Democratic newspaper’s assertion that Lincoln studied for weeks at the state library that summer before entering the fray against the Kansas-Nebraska Act is credible because, if he harbored thoughts about arguing against the senator face to face, he knew what a challenge that would be. Conversely, reports that Douglas avoided debating Lincoln on occasion because he feared him as his “most dangerous and difficult opponent” strain credulity. Since 1843 Douglas had argued in each chamber of Congress against many of the most accomplished debaters in the United States. More recently he had honed his oratorical skills against abolitionists and southern extremists during the crisis of 1850 and had won enactment of his controversial Nebraska bill in 1854. He preferred to defend Kansas-Nebraska before Illinois audiences without interruption, but he was unafraid of hostile crowds or any individual debater. He had unshakable confidence in his oratorical skills. 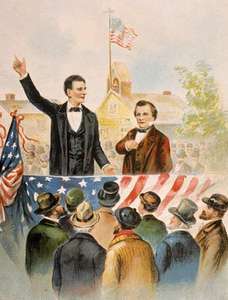 Characterizing their back-to-back speeches at Springfield and Peoria as the “Lincoln-Douglas Debates of 1854” or as “the first” of their debates inflates their importance to people in Illinois at the time and to Douglas. They were certainly important to Lincoln and have remained so to Lincoln scholars for two reasons. Lincoln’s performance gave him heightened stature in Illinois, and his speeches were salient to the formulation of his ideas on slavery. His fall crusade to refute Douglas, whether in single speeches or face-to-face debates, intensified Lincoln’s research on the founders and slavery, and sharpened his position on territorial policy. Until this campaign, Lincoln’s abhorrence of slavery had been essentially a reflexive moral revulsion. The prospect of taking on the Little Giant motivated him to a new research-informed intellectual depth on the issue. As Lincoln himself would have acknowledged, however, that fall he was one of numerous free-soilers, abolitionists, Whigs, Republicans, and Democratic dissenters who set out to answer Senator Douglas during the latter’s Illinois campaign to defend his Kansas-Nebraska Act. Douglas expressed irritation at the procession of opponents for taking advantage of his capacity to attract large crowds. No one has unearthed the complete list of scheduled or unplanned opposition speakers, but Ichabod Codding, Owen Lovejoy, Frederick Douglass, Lyman Trumbull, Sidney Breese, and Lincoln were in the queue. Although he liked Lincoln personally, Douglas resented any rival benefiting from crowds he lured. A highlight of the state fair at Springfield was to be an outdoor address by Douglas that was expected to draw a huge attendance. It was billed for weeks as a solo speech, not a debate. Inclement weather forced the event to be held in Representative Hall, outside which Lincoln was among the overflow who listened to the address from the lobby. When the senator concluded, Lincoln entered the hall and shouted that he would answer Douglas the next afternoon and hoped the senator would be there to respond. On the morning of October 4, the confrontation between the two men that afternoon was announced in handbills. Douglas sat on the platform and took up Lincoln’s invitation several times to interrupt him during the course of a three- to four-hour speech.Douglas then gave his own two-hour response, which was summarized in newspaper reports recently uncovered and analyzed by historian Graham Peck. Over the next ten days, Douglas gave eight speeches in as many towns. Lincoln dealt with his legal business until he met Douglas again at Peoria on October 16. This time it appears that there was a measure of planning, for the newspaper report indicated that Douglas spoke first and said that by agreement Lincoln would answer him. 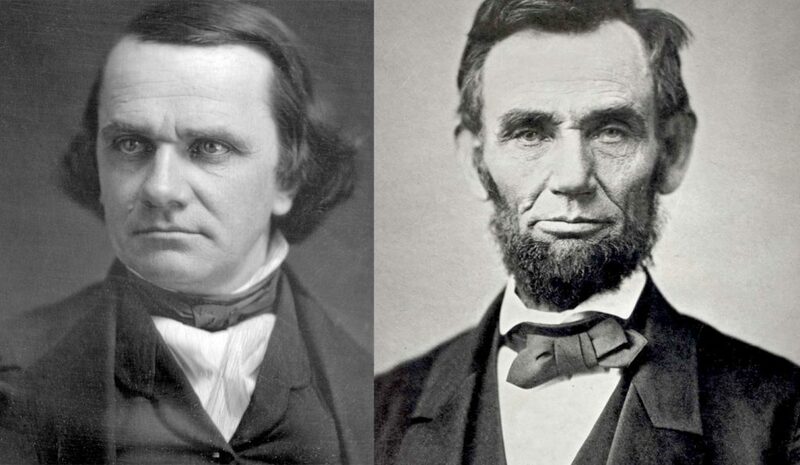 Since Douglas did not finish his three-hour speech until five o’clock, Lincoln said he would hold off his response, which would be just as long, until seven and that Douglas would have an hour for his reply afterward. Douglas, however, was too exhausted (like most of the listeners) after the six hours of speech making to answer. In letters Douglas penned to friends during his “canvass,” he characteristically mentioned no one who spoke against him. He referenced only “the glorious meeting” or “glorious meetings” held when he spoke! He had complete focus on and faith in what he said and little concern about responders. In fact, Douglas believed he would trump anyone in persuading a crowd and that his influence depended on himself alone. Realizing that an assemblyman would be ineligible to be chosen senator, Lincoln formally declined to serve. By doing so he opened the door to a Democrat winning the special election. This added injury to insult when the legislature bypassed him and selected as senator an anti-Nebraska Democrat, Lyman Trumbull. Once again after a major political disappointment Lincoln retreated to his law practice. His withdrawal was not as complete or as long as it had been in 1849. Although he felt “moderate” regret at losing, he derived “pleasure” knowing that Trumbull represented the same cause and aggravated pro-Nebraska Democrats more than a Whig would have. Yet he seems to have refrained from commenting on consequences of the Kansas-Nebraska Act as they unfolded. From the beginning of January 1855, when the Senate election took place, newspapers across the country carried stories almost daily about the ongoing contest in Kansas between free-soilers and slavery men. Lincoln did not comment on the situation until August, other than to urge caution to his militantly antislavery law partner, William H. Herndon, probably because “the political atmosphere is such” that he admitted to “fear to do any thing, lest I do wrong.” His guardedness reflected calculations regarding his future political advancement, which weighed on him as much as affecting the outcome in Kansas, where the adoption of a slave constitution was probable, he would come to believe. He also was uncertain about how far antislavery should go, for unlike extremists he still did not want to risk disunion. A new canvass by Douglas to defend his territorial policy during the fall of 1855 does not seem to have drawn Lincoln again into the fray. The Lincoln Log reveals him to be engaged almost exclusively in legal work from September to the end of the year. It records only one possible exchange with Douglas at a Democratic rally in Danville on October 30, where Lincoln was “scheduled” to reply, but the senator was too ill from weeks of speaking and broke off the engagement. The mistaken belief that Lincoln dogged Douglas that fall comes from a biographer of David Davis, who relied on a letter written six days after the expected match at Danville and one that Davis wrote in late December in which he said, “Lincoln made a few very able speeches that fall.” If Lincoln did make any, none was in conjunction with one by Douglas; no speech appears in The Lincoln Log; and Lincoln makes no reference to any in his correspondence. Further, Douglas mentioned only a debate with Trumbull that he short-circuited. The conclusion, then, is that after he lost the Senate election to Trumbull in January, Lincoln remained essentially on the political sideline for most of 1855. 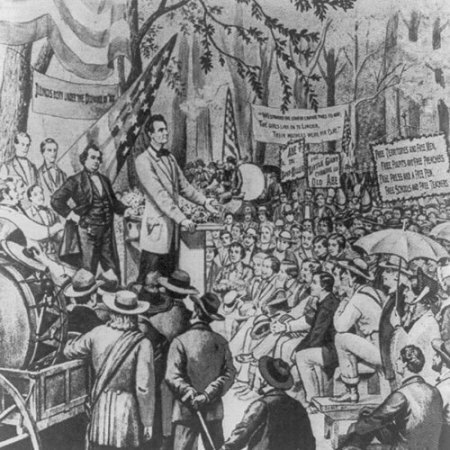 Despite his disengagement, Lincoln retained stature as a political figure in central Illinois. There, in 1856, he was called on to speak at anti-Nebraska meetings. He finally shed his Whig identity to become active in the formation of the new Republican Party in the state. Regrettably, a rousing speech he delivered extemporarily in May at what became the party’s first statewide nominating convention was never transcribed or printed in full. A later explanation given by a newspaper editor is that leaders of the new party feared that Lincoln’s speech was too extreme for publication and that Lincoln concurred. Adding to the explanation is a Democratic newspaper report of Lincoln’s next speech less than two weeks later. It claimed that he “bored his audience” for more than an hour “with one of the weakest speeches he ever perpetrated.” If so, it suggests that the unexpected backlash over his “spot” resolutions and antiwar speech of 1847–48 in Congress left him second-guessing himself when he received critical feedback about his rhetoric. By 1856 Lincoln was not wholly sure of himself in the political arena. His hesitancy in attending the first national Republican nominating convention was indicative. After being chosen as a delegate, he declined, then agreed to go, and declined again. He decided to remain at legal work on the circuit instead of going to the convention, after temporarily accepting a friend’s offer to pay his expenses. At Philadelphia, however, Lincoln received unanticipated support for the vice presidential nomination, finishing second in a field of fifteen. Although he disclaimed interest in the position, he felt gratified by recognition on a national stage. The unexpected and unpredictable support for him as vice president at Philadelphia was transformative. On the campaign trail in September, he displayed a more entertaining and forceful style. Lincoln was now a man of stature in his state and nationally in his new party. He was not yet where he yearned to be, but at last he was close. Roy Basler makes a strong argument that Lincoln penned an undated private rumination in December 1856 or the next year because he never forgot when he first met Douglas—the winter of 1834–35 at the state capitol in Vandalia. Twenty-two years ago Judge Douglas and I first became acquainted. We were both young then; he a trifle younger than I. Even then, we were both ambitious; I, perhaps, quite as much so as he. With me, the race of ambition has been a failure—a flat failure; with him it has been one of splendid success. His name fills the nation; and is not unknown, even, in foreign lands. I affect no contempt for the high eminence he has reached. So reached, that the oppressed of my species, might have shared with me in the elevation, I would rather stand on that eminence, than wear the richest crown that ever pressed a monarch’s brow. Lincoln’s speech not only was heralded in Illinois antislavery circles but also received some attention nationally. The New York Times published his “Reply to Senator Douglas” in full, although it identified him as “Hon. A. Lincoln, of Indiana” and as speaking at the state house in Indianapolis. Following his Springfield success, Lincoln returned full-time to his law practice, but this time he remained in touch with local Republican activists. His eye was on the U.S. Senate election of 1858, when a new legislature at Springfield would choose between the incumbent Douglas and a Republican. Lincoln believed it was his turn to be his party’s candidate. In fall 1857 the situation in Kansas took center stage again because of two events: (1) an unrepresentative convention at Lecompton adopted a proslavery constitution as the final step to a statehood vote in Congress, and (2) an election to the territorial legislature resulted in a free-soil majority. As the leading Democrat in Congress, Douglas had a crucial position. A House inquiry into election fraud in Kansas had produced an extensive report in July 1856 that was a turning point for Douglas, who had been upset with antislavery agitators from the Northeast who traveled there. The report led him to recognize the high percentage of legitimate free-soil settlers who were genuinely opposed to Kansas becoming a slave state. While he calculated the impact of his decision on his Senate reelection bid in 1858 and his chance for the presidential nomination in 1860, he was deeply committed to majority rule. As he wrote to a friend on November 23, 1857, “[t]he only question is whether the constitution formed at Lecompton is the act & will of the people of Kansas, [or] whether it be the act and will of a small minority, who have attempted to cheat & defraud the majority by trickery & juggling.” Although he would wait to gather the facts, he noted that newspaper accounts were reporting much fraud. Two weeks later the president’s opening address to the new Congress called for the admission of Kansas to statehood under what Douglas referenced as “the Lecompton Fraud.” Douglas dissented immediately and, on the following day, explained his opposition in a long speech that elevated him among Republicans, whose support he needed if the Senate were to block Lecompton. Lincoln’s interest in the Kansas issue during the fall was strictly as a political partisan. A week before Congress convened he wrote Senator Trumbull that Republicans ought to “stand clear of” the fight over Lecompton. He was worried lest Douglas “draw off some Republicans on this dodge.” He ventured no opinion on the merits of the proslavery constitution. His fixation was not on the plains of Kansas but on the fight in Washington as it impacted Douglas’s standing and, therefore, his own. On December 28 he expressed his frustration over the praise Douglas was receiving from other antislavery spokesmen. “What does the New-York Tribune mean by it’s constant eulogising, and admiring, and magnifying Douglas? Does it, in this, speak the sentiments of the republicans at Washington?” He made clear to Trumbull that he worried lest the Tribune swayed Illinois Republicans into “going over to Douglas.” Trumbull answered quickly that he would speak to the correspondent of the Tribune “to get him to pursue a different course.” But at the same time, Trumbull stoked Lincoln’s fears by noting that Douglas invited major Republican senators to confer with him and they were pleased to “act like fools” and run after and praise him. Although Trumbull then discussed the role Douglas might play in working with Republicans to stop the Lecompton express, he did not concede that was the likely reason William Seward, Henry Wilson, and others had been pursuing Douglas. At about the time he was urging Trumbull to thwart a steamroller for Douglas, Lincoln appears to have drafted his own argument why his great rival should not be considered suitable by Republicans. Because he appears to have first written his controversial line—“a house divided against itself cannot stand”—in an undated private document, dating it has become an object of scholarly concern. Don Fehrenbacher makes a persuasive textual case that it originated at the end of December 1857, when Lincoln became alarmed over the praise his party was heaping on Douglas following the senator’s much heralded speech against Lecompton. Over the first four months of 1858 President Buchanan persisted with the Lecompton constitution as the basis of statehood, and both houses of Congress witnessed intense debates and maneuvers, with Douglas leading the Democrats in opposition to the Buchanan administration’s policy. A compromise face-saving Democratic bill (English bill) that called for another territorial vote on the Lecompton constitution passed and temporarily resolved the crisis. Douglas gained more Republican admiration for his efforts to defeat the proslavery constitution as not reflecting the will of the majority in the territory. Lincoln wrote nothing publicly about the crisis. His political preoccupation was the threat of Douglas to his own prospects. In a lecture on inventions and discoveries that he delivered in Bloomington before the Young Men’s Association in April, he gratuitously attacked Young America, the Democratic group whose main spokesman had been Douglas. Michael Burlingame, who first identified Douglas as the “towering genius” of Lincoln’s Lyceum speech of 1838, also views the “ostensibly nonpolitical” speech of 1858 as a “thinly disguised put-down of Stephen A. Douglas.” The relevance of Young America to Lincoln in 1858, by which time it had lost much of its influence, in fact was mainly its lingering identification with Douglas. Despite its importance earlier, this was Lincoln’s only recorded reference to the movement. He followed his April speech with letters expressing concern that the Republicans in Illinois were pushing for the reelection of Douglas. This overrode all political issues for him. This indirect attack on Douglas was the prelude to Lincoln’s direct one on him in his acceptance speech at the Republican convention on June 16. What is questionable is whether he disclosed before his nomination the full case against Douglas that he had been developing in private notes since the previous December. His one overtly political speech prior to the convention was at Edwardsville in May, when he shared a platform with three other speakers. The only newspaper report we have notes that the four orators concurred that the administration’s attempt to fraudulently impose slavery on Kansas should be opposed. Lincoln’s speech was not highlighted, which suggests that he continued to say little in public and confined his preconvention rhetoric against Douglas to correspondence and strategy meetings with Republicans. Lincoln may have remained cautious so as not to provoke retaliatory machinations from Douglas before he could secure the Republican senatorial nomination for himself. What he had written to persuade Republicans not to support Douglas could be shared with some behind the scenes but not with the public until he firmly had the nomination he coveted. Even Douglas’s acceptance of the Democratic nomination in April did not wholly remove Lincoln’s guardedness, for his rival had trumped him for too long. In 1858 Lincoln’s personal drive for achievement overrode other political interests. As the Republican candidate for the U.S. Senate, he at last, after more than two decades, could move out of Douglas’s shadow. This time he would stalk Douglas as an equal and induce him into a series of face-to-face debates that would put Lincoln on the national stage that his rival had commanded for years. Although the seven debates did not ultimately win the Senate for him, they proved to the Republican Party leadership that he was a figure of considerable potential across the North. Two years later he would finally eclipse Douglas in the most consequential election in American history, and the Little Giant would then be pushed into Lincoln’s shadow for the brief remainder of his life and forever in American history. Martin H. Quitt, Stephen A. Douglas and Antebellum Democracy (New York: Cambridge University Press, 2012), 65. Kenneth Winkle, The Young Eagle: The Rise of Abraham Lincoln (Dallas: Taylor Trade, 2001), 76. Winkle views this pattern of shifting jobs not as “representing aimless indecision” but as reflecting the emergence in the early nineteenth century of a new pattern involving a prolonged stage of youth in a fluid economy that offered young men time for career experimentation. Brian Dirck, Lincoln the Lawyer (Urbana: University of Illinois Press, 2007), 23. Michael Burlingame, Abraham Lincoln: A Life, 2 vols. (Baltimore: Johns Hopkins University Press, 2007), 1:131. Douglas L. Wilson, Honor’s Voice: The Transformation of Abraham Lincoln (New York: Alfred A. Knopf, 1998), 100–103, 104, 107, 174. Address before the Young Men’s Lyceum of Springfield, Illinois. Roy P. Basler et al., eds., Collected Works of Abraham Lincoln, 8 vols. (New Brunswick, N.J.: Rutgers University Press, 1953–55), 1:114. William H. Herndon and Jesse W. Weik, Herndon’s Lincoln, ed. Douglas L. Wilson and Rodney O. Davis (Urbana: University of Illinois Press, 2006), 110–11; Quitt, Stephen A. Douglas, 66. For “the Third House,” see Richard L. Miller, Lincoln and His World: Prairie Politician, 1834–1842 (Mechanicsville, Pa.: Stackpole Books, 2008), 103; Thomas Ford, A History of Illinois from Its Commencement as a State in 1818 to 1847, annot. and intro. Rodney O. Davis (Urbana: University of Illinois Press, 1995), 323. Paul Simon, Lincoln’s Preparation for Greatness: The Illinois Legislative Years (Norman: University of Oklahoma Press, 1965), 28. The fullest account of the 1838 campaign and election is in Robert W. Johannsen, Stephen A. Douglas (New York: Oxford University Press, 1973), 61–72. Abraham Lincoln to William A. Minshall, December 7, 1837, Basler, Collected Works, 1:107. Simeon Francis had published unsigned editorials by Lincoln as early as 1834 or 1835 and eventually would accept hundreds from him; James H. Matheny, interviewed by William H. Herndon, November 1866, in Herndon’s Informants, ed. Douglas L. Wilson and Rodney O. Davis (Urbana: University of Illinois Press, 1998), 431. See also Burlingame, Abraham Lincoln, 1:95–96. Historian Robert S. Harper suggests that Francis’s newspaper office became Lincoln’s “loafing place”. Lincoln and the Press (New York: McGraw Hill, 1951), 3. Both George B. Forgie, Patricide in the House Divided: A Psychological Interpretation of Lincoln and His Age (New York: W. W. Norton, 1979), 84–85, and Charles B. Strozier, Lincoln’s Quest for Union: Public and Private Meanings (New York: Basic Books, 1982), 60, explicitly drew on the psychological analysis of Lincoln’s Lyceum address by literary critic Edmund Wilson, Patriotic Gore: Studies in the Literature of the American Civil War (New York: Oxford University Press, 1962), 107–8. Michael Burlingame, The Inner World of Abraham Lincoln (Urbana: University of Illinois Press 1994), appendix, 365–68. I am grateful to Thomas Schwartz for this reference. Forgie, Patricide in the House Divided, has been incorrectly credited with suggesting that Lincoln had Douglas in mind when he gave the Lyceum speech. Forgie instead writes (262–63) that Lincoln in the 1850s came to see Douglas as the would-be tyrant who would tear down republican institutions—the tyrant he had warned about in 1838. For the misrepresentation of Forgie’s point, see Don E. Fehrenbacher, Lincoln in Text and Context: Collected Essays (Stanford, Cal. : Stanford University Press, 1987), 222; John M. Barr, Loathing Lincoln: An American Tradition from the Civil War to the Present (Baton Rouge: Louisiana State University Press, 2014), 247. For an overview of interpretations of the Lyceum speech with an analysis of the Springfield lyceum, see Angela G. Ray, “Learning Leadership: Lincoln at the Lyceum, 1838,” Rhetoric and Public Affairs, 13, no. 3 (2010): 349–88. I also am grateful to Professor Ray for her e-mail communication. On the nonpartisan purpose of lyceums, see Ray, “Learning Leadership,” 357. On the nonpartisan membership, composition of the audience, and the setting of the Springfield lyceum, see Thomas F. Schwartz, “The Springfield Lyceum and Lincoln’s 1838 Speech” Illinois Historical Journal 83 (Spring 1990): 45–49, esp. 47. Lincoln Log, May 10, 1838. Simon, Lincoln’s Preparation for Greatness, 147; James L. Huston, Stephen A. Douglas and the Dilemmas of Democratic Equality (Lanham, Md. : Rowman and Littlefield, 2007), 19. Lincoln to the Editor of the Chicago American, June 24, 1839, Basler, Collected Works, 1:151–52. Lincoln to John T. Stuart, November 14, 1839, Basler, Collected Works,1:154. 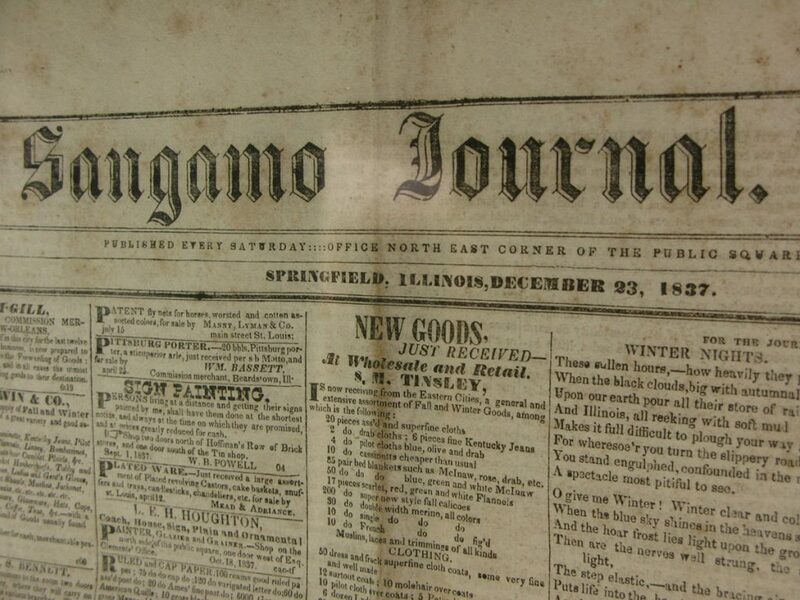 Sangamo Journal, March 30, 1839, carried an advertisement for his law firm, formed on April 14, 1838. The name of John D. Urquhart appeared above that of Douglas, suggesting that the former was the senior partner. With Douglas at the land registry, Urquhart probably was expected to shoulder most of the firm’s caseload. Yet Urquhart was not among the lawyers identified as practicing in Springfield by the Sangamo Journal on July 19, 1839. Both Lincoln and Douglas were on its list of sixteen. The circuit court case was McClernand v. Field; the one at the Supreme Court was The People ex relatione J. A. McLernand vs. A. P. Field. Sangamo Journal, July 19, 1839; Johannsen, Stephen A. Douglas, 85. Sangamo Journal, July 19, 1839. The story is most fully told in Johannsen, Stephen A. Douglas, 84–47. Quitt, Stephen A. Douglas, 90–91. Lincoln to John T. Stuart, March 1, 1840, Basler, Collected Works, 1: 206; Burlingame, Abraham Lincoln, 1:161. Wilson and Davis, Herndon’s Informants, 443; Catherine Clinton, Mrs. Lincoln: A Life (New York: Harper Collins, 2009), 32–33. Wilson and Davis, Herndon’s Informants, 476; Johannsen, Stephen A. Douglas, 76. Wilson and Davis, Herndon’s Lincoln, 134; Burlingame, Abraham Lincoln, 1:174. According to Mary’s niece, she met Lincoln at a cotillion held during the winter session of the legislature. Katherine Helms, The True Story of Mary, Wife of Lincoln (New York: Harper and Brothers, 1928), 72; Wilson, Honor’s Voice, 215–16. Wilson and Davis, Herndon’s Informants, 133; Wilson, Honor’s Voice, 221–26; Burlingame, Abraham Lincoln, 1:181–82. The most influential analysis of the courtship has been Wilson, Honor’s Voice, 215–41. A lack of direct testimony from the two participants, however, leaves the subject open to reappraisal. Wilson and Davis, Herndon’s Lincoln, 135–37; Ibid., 135. Herndon based his version largely on an interview with Mary’s sister and brother-in-law, who also dismissed reports that Lincoln was smitten with Matilda. Wilson and Davis, Herndon’s Informants, 646. Hanks was the daughter of Lincoln’s stepsister. Jesse Weik interviewed her under her married name, Harriet A. Chapman, in 1886–87. Mary Todd Lincoln to Mercy Ann Levering, June 1841, in Justin G. Turner and Linda L. Turner, eds., Mary Todd Lincoln: Her Life and Letters (New York: Alfred A. Knopf, 1972), 27. Lincoln to John T. Stuart, January 23, 1841, Basler, Collected Works, 1:229. Wilson and Davis, Herndon’s Lincoln, 138. Johannsen, Stephen A. Douglas, 117. Douglas won legislative appointment to the high bench in 1841. Lincoln was slightly younger than the average age of the Thirtieth House membership. Chris DeRose, Congressman Lincoln: The Making of America’s Greatest President (New York: Simon and Schuster 2013), 91. Congressional Globe, 30th Congress, 1st session, 19–20; 2nd session, 22. For his resolution, December 22, 1847, see Congressional Globe, 30th Congress, 1st session, 64. For his speech on January 12, 1848, see 154–56 and appendix, 93–95. His speeches on internal improvements and the election were also substantial enough for inclusion in the appendix. Ibid., 709–11; 1041–43. Members usually submitted more polished speeches for the appendix than what they had delivered on the floor. Comparing the text of speeches there with those reported in the regular issues of the Congressional Globe reveals the editing. For an archival-based discussion of Congressmen editing their speeches prior to publication, see Rachel A. Shelden, Washington Brotherhood: Politics, Social Life, and the Coming of the Civil War (Chapel Hill: University of North Carolina Press, 2013), 29–32. Lincoln’s speech received wide newspaper recognition. Boston Daily Atlas, January 13, 1848. New York Herald, January 14, 1848, mentioned only that he was speaking when a message from the president arrived. The Brattleboro (Vt.) Semi-Weekly Eagle, January 14, 1848, reported his speech against the idea that spilling American blood was the cause. See also Wachusett Star (Barre, Mass. ), January 18, 1848; New-Hampshire Patriot and State Gazette (Concord), January 20, 1848; Morning News (New London, Conn,), January 25, 1848. The Daily National Intelligencer (Washington. D.C.), January 15, 1848, printed the speech. The editorial correspondent for the Boston Daily Atlas described him physically and praised his “sound, sensible, and manly speech.” On January 27 it printed the full speech, headed by his name in an enlarged, bold caption. The Raleigh Register, and North Carolina Gazette (January 19, 1848) simply reported that he spoke against the President’s message that the shedding of American blood is what precipitated the war. Congressional Globe, 30th Congress, 1st Session, appendix, 221–27. It was printed in full in the Daily National Intelligencer on March 28, 1848. On the week of his speech, he was invited to a Tammany Hall meeting to support the administration’s policy. Pensacola (Fla.) Gazette, February 5, 1848. On the day after his speech, the Washington Union reported, “Judge Douglas” spoke “in a masterly manner.” The article was reprinted in the Nashville (Tenn.) National Union, February 14, 1848. Lincoln to [David A.?] Smith, December 3, 1847, Basler, Collected Works, 1:416; Lincoln to Richard Yates, December 10, 1847, Basler, Collected Works, 1:419. National Intelligencer (Washington, D.C.), February 18, 1848. DeRose, Congressman Lincoln, 126–27; Baker, Mary Todd Lincoln, 139–141. On questions regarding Mary’s departure, see Clinton, Mrs. Lincoln, 83. Congressional Globe, 30th Congress, 1st session 1062–63; DeRose, Congressman Lincoln, 198. For the Democrat, Thomas L. Harris, see Biographical Directory of the United States Congress. Herndon blamed the Whig loss of the district on the spot resolutions, and Logan blamed it on “Lincoln’s unpopularity.” Wilson and Davis, Herndon’s Lincoln, 175; Burlingame, Abraham Lincoln, 1:272. For the “fallout” from his resolutions and speech, see DeRose, Congressman Lincoln, 130–31, 136–39, 141–42. On mass demonstrations celebrating American victories and the impact of the war on national identity, see Robert W. Johannsen, To the Halls of Montezuma: The Mexican War in the American Imagination (New York: Oxford University Press, 1985), esp. 45–67. Johannsen cites (67) the election of James Shields, a wounded veteran, to the U.S. Senate from Illinois as testimony to the influence of war service on elections. DeRose, Congressman Lincoln, 139. Burlingame surmises that “Lincoln was agnostic about the war” when he ran. Burlingame, Abraham Lincoln, 1:237. The degree to which Lincoln’s belated condemnation of the war was unpopular and cost the Whigs their one seat in the Illinois delegation is reconsidered ably by Mark E. Neely Jr., “Lincoln and the Mexican War: An Argument by Analogy,” in Richard W. Etulain, ed., Lincoln Looks West: From the Mississippi to the Pacific (Carbondale: Southern Illinois University Press, 2010), 68–87. He points to Lincoln’s speech being defended by Whig newspapers in Illinois and its consistency with western Whiggery. Amy S. Greenberg’s A Wicked War: Polk, Clay, Lincoln, and the 1846 U.S. Invasion of Mexico (New York: Alfred A. Knopf, 2012), as the title foretells, celebrates Lincoln’s speech against Polk’s justification for the war and credits it with contributing to the antiwar movement that brought the fighting to a close (270). Nevertheless, she concedes that his “spot resolutions” and his vote for an amendment that declared Polk’s initiation of the war as unconstitutional did not go over well in Illinois, the heart of the prowar West (250).Historians sometimes mistakenly conflate the antiwar sentiment of New England with the rest of the North. In contrast to six regiments and two independent companies in Illinois, only one volunteer regiment from Massachusetts—the only one from New England—was listed in William H. Robarts, Mexican War Veterans: A Complete Roster of the Regular and Volunteer Troops in the War between the United States and Mexico, 1846–1848 (Washington, D.C., 1887), 43–47., 57–58. See also James M. McCaffrey, Army of Manifest Destiny: The American Soldier in the Mexican War, 1846–1848 (New York: New York University Press, 1992), 19, 23, 76, 114. All nonreturning Congressmen normally were lame-duck legislators during the whole second session before passage of the 20th amendment, which advanced the meeting of Congress eleven months earlier. William C. Harris, Lincoln’s Rise to the Presidency (Lawrence: University Press of Kansas, 2007), 54–55. William L. Miller ruminates that Lincoln’s advocacy of the bill could not have enhanced either his position with the incoming Taylor administration or his long-term political prospects at home. In the House his own party leadership opposed his efforts. William L. Miller, Lincoln’s Virtues: An Ethical Biography (New York: Alfred A. Knopf, 2002), 214–15. For example, fourteen of sixteen letters sent to him from March 22 to April 6, 1849, dealt with appointments. Abraham Lincoln Papers, Series 1, General Correspondence, 1833–1916, Library of Congress. On March 3 the outgoing Thirtieth Congress created a new Department of Interior to which it transferred the General Land Office from the Treasury. U.S. Statutes at Large, 30th Congress, Session 2, 395; Congressional Globe, 30th Congress, Session 2, 699. President Polk signed the bill late on the night of March 3, although he feared “its consolidating tendency.” Henry B. Learned, “The Establishment of the Secretaryship of the Interior” American Historical Review 16, no. 4 (July 1911), 769. The new commissioner of the Land Office would oversee eighty-eight district land offices in a dozen states. Illinois had eleven. Thomas Donaldson, The Public Domain: Its History with Statistics (Washington, D.C., 1881), 173–76. The story is most fully told in Burlingame, Abraham Lincoln, 1:296–308. The only correspondence he received from Secretary Thomas Ewing was a perfunctory note a year later saying that the war department had “no intention, at present, of making any change to the Pension Agency of Illinois.” Thomas Ewing to Abraham Lincoln, April 25, 1851, Abraham Lincoln Papers, Series 1, General Correspondence, 1833–1916, Library of Congress. I am grateful to Daniel W. Stowell for searching the database of the Papers of Abraham Lincoln to find any letter from Taylor to Lincoln. Burlingame suggests that the administration “generally bungled patronage distribution.” Abraham Lincoln, 1:303. Wilson and Davis, Herndon’s Lincoln, 175–78. Lincoln to George W. Rives, May 7, 1849, Basler, Collected Works, 2:46. Lincoln to William B. Preston, May 16, 1849, Basler, Collected Works, 2:48–49. Lincoln to Josiah M. Lucas, November 17, 1849, Basler, Collected Works, 2:67. His preoccupation with securing the office of commissioner and his reported pique at not receiving it were the subject of his correspondence for several months in 1849. Richard L. Miller concludes that despite his rationalization, Lincoln acted to gain the office “to benefit himself and not Illinois.” Lincoln and His World, volume 3: The Rise to National Prominence, 1843–1853 (Jefferson, N.C.: Stackpole, 2011), 239. Congressional Globe, 31st Congress, 1st session (December 4, 1849), appendix, 2. Basler, Collected Works, 2:38–78. See his letters from March 20, 1849, to March 22, 1850, to Thomas Ewing, Caleb B. Smith, George W. Rives, John M. Clayton, Duff Green, Joseph Gillespie, Elisha Embree, Richard W. Thompson, Josiah B. Herrick, Robert C. Schenck, Willie P. Mangum, Nathaniel Pope, William B. Preston, John Addison, James Berdan, Isaac Onstott, Josiah M. Lucas, Zachary Taylor, Orville H. Browning, Sylvester Emmons, and George W. Crawford. See also his letters in 1849 to Moses Hampton (June 1), Joseph R. Underwood (June 3), Thomas Ewing (June 22, July 9, October 13), Basler, Collected Works, 11:1–6. Secretary of the Interior Ewing received the most letters (eighteen), with Secretary of State Clayton receiving the second-most (ten). Eulogy on Zachary Taylor, July 25, 1850, Basler, Collected Works, 2:89. The tabulation is based on newspapers in two databases: 19th Century U.S. Newspapers (Gale Cengage), and Early American Newspapers, Series 1, 1690–1876 (Readex). The former covers more states than does the latter, which draws mainly from New England. Very few antebellum southern newspapers are yet available by digital access. That also has been true of major Illinois newspapers, although digitization has now begun. Lately I have been able to access the Sangamo Journal and the Chicago Tribuneonline. My use of other newspapers has relied mainly on the interlibrary loan of microfilm reels for Illinois and the South. Daily National Intelligencer (Washington, D.C.), June 15, 1850. Burlingame, Abraham Lincoln, 1:309–62. Burlingame sees it as a five-year crisis while Lincoln remained on the sidelines of politics, except for some “dabbling” (337). Resolutions on Behalf of Hungarian Freedom, January 9, 1852; Eulogy on Henry Clay, July 6, 1852, Basler, Collected Works, 2:116–16, 121–32. Speech to the Springfield Scott Club, August 14, 26, 1852, Basler, Collected Works, 2:135–57; quote, 136. The party platforms most conveniently are available online by Gerhard Peters and John T. Woolley, The American Presidency Project at the University of California Santa Barbara. http://www.presidency.ucsb.edu. The Democratic Platform is dated June 1, and the Whig, June 15. For Douglas’s comment, see the pamphlet “Speech by Hon. Stephen A. Douglas, July 9, 1852,” 2. For Douglas’s candidacy, see Johannsen, Stephen A. Douglas, 345–69; Yonatan Eyal, The Young America Movement and the Transformation of the Democratic Party, 1828–1861 (New York: Cambridge University Press, 2007), 208–12. Speech to the Springfield Scott Club, Basler, Collected Works, 2:137–38, 144. Quitt, Stephen A. Douglas, 120. U.S. Statutes at Large, 33rd Congress, 1st session (May 30, 1854), 277–90, esp. 283. Burlingame credits him with penning unsigned editorials earlier, but this is conjectural. Abraham Lincoln, 1:364. Lincoln to Jesse W. Fell, December 20, 1859, Basler, Collected Works, 3:512. David Herbert Donald, Lincoln (New York: Simon and Schuster, 1995), 163–64; Burlingame, Abraham Lincoln, 1:358. The report appeared in the Illinois State Register. John A. Corry, First Lincoln-Douglas Debates, October 1854 (Bloomington, Ind. : Xlibris, 2008), 50. The quote is from a 1908 letter that was based on a secondhand report. The letter is printed by Lincoln partisan Horace White. The Life of Lyman Trumbull (Boston: Houghton Mifflin, 1913), 40. Albert J. Beveridge summarized the speech comprehensively “because the Springfield address contained all the ideas, or the germs of them, that Lincoln expressed thereafter and up to the time he wrote the Emancipation Proclamation.” Abraham Lincoln, 1809–1858, 4 vols. (Boston: Houghton Mifflin, 1928), 3:244. More recently, John Burt probes Lincoln’s Peoria speech for his “chief arguments” against the extension of slavery. Lincoln’s Tragic Pragmatism: Lincoln, Douglas, and Moral Conflict (Cambridge: Harvard University Press, 2013), 62, 88. Before 1854, Eric Foner writes, “Lincoln had developed antislavery ideas but not a coherent antislavery ideology,” and Foner begins his analysis of that ideology with Lincoln’s Peoria speech. The Fiery Trial: Abraham Lincoln and American Slavery (New York: W. W. Norton, 2010), 62–72. 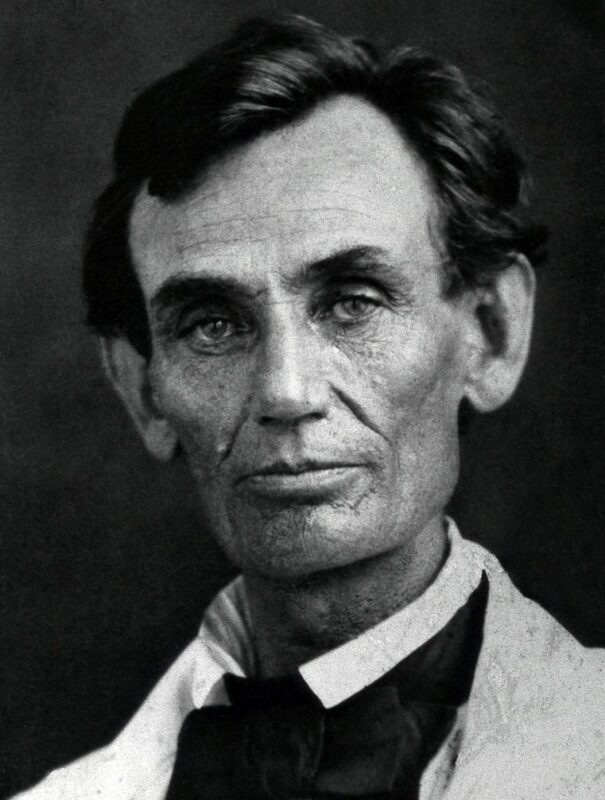 Burlingame refers to “this Springfield-Peoria speech, [as] his first oratorical masterpiece.” Abraham Lincoln, 1:378. Graham A. Peck demonstrates that the Springfield and Peoria speeches were “essentially the same” but shows differences of organization and some points Lincoln added at Peoria in anticipation of what Douglas would say. “New Records of the Lincoln-Douglas Debate at the 1854 Illinois State Fair: The Missouri Republican and the Missouri Democrat Report from Springfield,” Journal of the Abraham Lincoln Association, 30, no. 2 (Summer 2009), 25–80, esp. 36–44. George F. Milton, The Eve of Conflict: Stephen A. Douglas and the Needless War (1934; repr., New York: Octagon, 1969), 178. Beveridge, Abraham Lincoln, 3:243. Newspapers advertised that Breese, Codding, and Trumbull would answer him, but in their own separate speeches, not debates. Richard L. Miller, Lincoln and His World, vol. 4: The Path to the Presidency, 1854–1860(Jefferson, N.C.: McFarland, 2012), 54. Corry, First Lincoln-Douglas Debates, 82. Lincoln Log, October 16, 1854, http://www.thelincolnlog.org/Calendar.aspx?date=1854–10–16. Speech at Peoria, Illinois, October 16, 1854, Basler, Collected Works, 2:247. Corry, First Lincoln-Douglas Debate, 124. Douglas to John C. Breckenridge, September 7, 1854; Douglas to James W. Sheahan, September 14, 1854, in Robert W. Johannsen, ed., The Letters of Stephen A. Douglas (Urbana: University of Illinois Press, 1961), 328–29, 330. In a letter to Charles H. Lanphier, August 25, 1854, Douglas said he was going to speak in Chicago. “They threaten a mob but I have no fears.” Johannsen, ed., Letters of Stephen A. Douglas, 327. Autobiography Written for John L. Scripps, ca. June 1860, Basler, Collected Works, 4:67. Lincoln to Thomas J. Henderson, November 27, 1854; Lincoln to Elihu N. Powell, November 27, 1854, Basler, Collected Works, 2:287–88; Donald, Lincoln, 179; Burlingame, Abraham Lincoln, 1:392. On the support for Lincoln, see Heather C. Richardson, To Make Men Free: A History of the Republican Party (New York: Basic Books, 2014), 9. Lincoln to Elihu B. Washburne, February 9, 1855, Basler, Collected Works, 2:304–6. Burlingame believes the loss “plunged him into depression” because of his intense desire for public “approbation.” Abraham Lincoln, 1:403. In the database, 19th Century U. S. Newspapers, “Kansas” appears in 4,521 news articles plus 898 editorial and opinion pieces during 1855. http://infotrac.galegroup.com/itw/infomark/472/412/32123232w16/purl=rc2_NCNP_2_Kansas_1/1/1855+to+12/31/1855, searched on 11/5/14. Wilson and Davis, Herndon’s Lincoln, 233–34; Lincoln to Owen Lovejoy, August 11, 1855, Basler, Collected Works, 2:316. Lincoln to Joshua F. Speed, August 24, 1855, Basler, Collected Works, 2:320–23. On his uncertainty, see Donald, Lincoln, 188–89. Lincoln Log, September-December 1855, http://www.thelincolnlog.org/Calendar.aspx?year=1855&month=10. Willard L. King, Lincoln’s Manager: David Davis (Cambridge: Harvard University Press, 1960), 109. According to Davis, Lincoln “was to answer” Douglas at Danville on October 30, but there is no suggestion that he spoke once Douglas begged off. See his nine letters of August 31; September 1, 14, and 19; October 10; November 5; and December 12, all dealing with legal matters. Basler, Collected Works, 2:323–38. Douglas to Charles H. Lanphear and George Walker, October 15, 1855, Johannsen, Letters of Stephen A. Douglas, 344. Speeches at Decatur, Illinois, February 22, 1856; Speech at Bloomington, Illinois, May 29, 1856, Basler, Collected Works, 2:333, 340–41. Burlingame, Abraham Lincoln, 1:420. T. Lyle Dickey, who stayed in the same room at Bloomington with Lincoln, would recall sharing dismay with him after the speech at his “very dangerous” statement that unless slavery were abolished or established everywhere “the Union would be dismembered.” T. Lyle Dickey to William H. Herndon, December 8, 1866, Wilson and Davis, Herndon’s Informants, 1:504–5. Speech at Springfield, Illinois, June 10, 1856, Basler, Collected Works, 2:344–45. Only one-third of the nominees on the “informal vote” for vice president were delegates to the convention. The top two recipients, William Dayton and Lincoln, were not present. For the list of delegates, Horace Greeley, Proceedings of the First Three Republican National Conventions of 1856, 1860, and 1864 (Minneapolis, 1892), 35–42. For the informal voting, 63–64. Fragment on Stephen A. Douglas [December 1856? ], Basler, Collected Works, 2:382–83. Remarks of the Hon. Stephen A. Douglas on Kansas, Utah, and the Dred Scott Decision, Delivered at Springfield, Illinois, June 12, 1857(Chicago: Daily Times Book and Job Office, 1857), 4. Speech at Springfield, Illinois, June 26, 1857, Basler, Collected Works, 2:399. New York Daily Times, July 4, 1857. On June 22, the Chicago Tribune had noted Lincoln’s winning verdict against the Illinois Central Railroad for $5,000. On June 25 it indicated he was going to deliver a speech the next day and the paper would publish it, which it did on June 30, after summarizing it fully on June 29. See his letters of July 20, August 5, September 30, November 30, December 18, and December 28, 1857, as well as his lead signature on a petition to Republican voters of October 8, 1857. Basler, Collected Works, 2:412–13, 424, 428, 430. In Kansas free-soilers formally organized the Free State Party in 1855. Nicole Etcheson, Bleeding Kansas: Contested Liberty in the Civil War Era (Lawrence: University Press of Kansas, 2004), 72. Quitt, Stephen A. Douglas, 126. Douglas to John A. McClernand, November 23, 1857, Johannsen, ed., Letters of Stephen A. Douglas, 403. For Buchanan’s message, Congressional Globe, 35th Congress. 1st session (December 8, 1857), appendix, 4–5. For Douglas phrase, Douglas to Charles H. Lanphear and George Wallace, December 6, 1858, Johannsen, ed., Letters of Stephen A. Douglas, 405. Congressional Globe, 35th Congress, 1st session (December 9, 1857), 14–18. An antislavery newspaper in Maine characterized him as “one of the most determined, audacious, and defiant public men in America” USN, Bangor Whig and Courier, December 19, 1857. Lincoln to Lyman Trumbull, November 30, 1857, Basler, Collected Works, 2:427. Lincoln to Lyman Trumbull, December 28, 1857, Basler, Collected Works, 2:430. Trumbull to Lincoln, January 3, 1858, Lyman Trumbull Papers, Library of Congress. On Republicans being charmed by Douglas as a possible Senate candidate, see Allen C. Guelzo, Lincoln and Douglas: The Debates That Defined America (New York: Simon and Schuster, 2008), 47–50. Fragment of a Speech [ca. May 18, 1858], Basler, Collected Works, 2:448–54. Don E. Fehrenbacher, Prelude to Greatness: Lincoln in the 1850’s (Stanford: Stanford University Press, 1962), 89–94. The editors of the Papers of Abraham Lincoln believe that, while the portion that deals with Douglas probably does date from the time that Fehrenbacher suggests, other parts were possibly separate notes that Lincoln carried with him for reference during public talks. They believe, in short, that the “Fragment” actually consisted of three or four detached documents. I am grateful to Christian McWhirter for this information. For an account of Buchanan, Congress, and the political impact of the Lecompton crisis in 1858, see Etcheson, Bleeding Kansas, 166–84. Burlingame, Abraham Lincoln, 1:443. The remarks on Young America, however, are from the opening of the full manuscript of Lincoln’s revision of the speech a year later. First Lecture on Discoveries and Inventions, [April 6, 1858]; Second Lecture on Discoveries and Inventions, [February 11, 1859], Basler, Collected Works, 2:437–43, 3:356–70. The manuscript for the earlier version, according to the editors of Collected Works, ends abruptly, which suggests that the beginning of the full manuscript might have been added at the end of the original delivery. Further, the relevance of Young America in 1859 would have been even weaker. 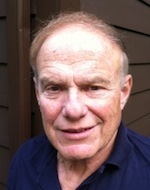 Yonatan Eyal, however, treats Lincoln’s assault on Young America as coming only in 1859. He traces the rise of the movement from 1844 to 1854 and stresses its decline thereafter. See his Young America Movement, 229–35. Based on a search of the phrase “Young America” in Basler, Collected Works. In his 1852 reply to Douglas’s Richmond speech, he also took issue with Douglas’s assertion that American filibusters in Cuba deserved a fair trial under a U.S. treaty with Spain. He did not, however, take a stand on Young America or its call for Cuban annexation. Speech to the Springfield Scott Club, August 14, 26, 1852, Basler, Collected Works, 2:153; Robert E. May, Slavery, Race, and Conquest in the Tropics: Lincoln, Douglas, and the Future of Latin America (New York: Cambridge University Press, 2012), 83–84. 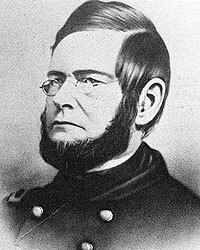 See his letters to Elihu B. Washburne, April 26, May 10, May 15; Josiah M. Lucas, May 19; and Jediah F. Alexander, May 15, 1858. Basler, Collected Works, 2:443–47. For the report in the Alton Weekly Courier, see Speech at Edwardsville, Illinois, May 18, 1858, Basler, Collected Works, 2:447. He was so anxious that Herndon journeyed to Washington mainly to ferret out Douglas’s intentions in March. Wilson and Davis, eds., Herndon’s Lincoln, 240–42. Originally published by Journal of the Abraham Lincoln Association 36:1 (Summer 2015, 18-46) under the terms of a Creative Commons Attribution-NonCommercial-NoDerivs 3.0 Unported license. This entry was posted in Uncategorized and tagged Abraham Lincoln, Communication, Debate, History, Rhetoric, Stephen Douglas. Bookmark the permalink.